Used to have a pile of board games. Not any more. Many households don’t have ANY. The internet and TV has taken their place in Americans’ hearts. I’m going to do my level best to convince you to let a few old-fashioned games, books and toys back into the family room. Children love games, and they thrive on the type of interaction games provide. Yes, they’re messy; yes, they take up space. They Also Make Everyone Smarter! While you’re having the time of your life with your kids, they’re getting a huge advantage over their peers – both in school and in interpersonal skills. Everyone plays computer games, and in moderation they can be good for the mind. Parlor games are vastly superior. 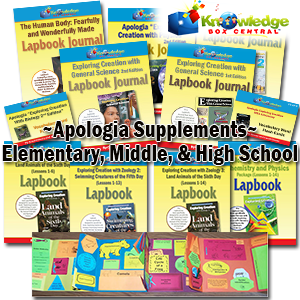 They teach social skills, bring the family together and sharpen everyone’s mind. Children learn patience, delayed gratification and strategy. 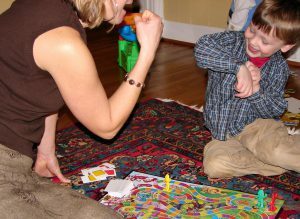 Parlor games extend children’s attention spans. The affect is the exact opposite of computer games, which tend to decrease children’s ability to pay attention. 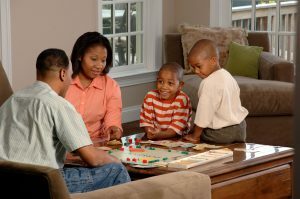 What’s more, a family game night is far less expensive than a night out at the movies. Board games are very affordable compared to sixty to one hundred dollars in movie tickets and another sixty to eighty for refreshments. You could buy a lot of good quality games for that price, and use them for decades. Now THAT’S smart! Dominoes are awesome. 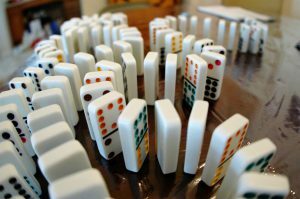 As soon as your child is over the age of three (past the choking hazard stage) you can break out the dominoes. I am a huge fan of the double fifteen color-dot domino set. They are so versatile. 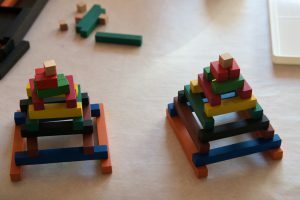 Right from the start they’re a building and stacking toy. Trust me, your three year old totally wants to do this! The possibilities of these two games are endless. When you’re not playing with them you can use them as manipulatives in your math program. Volumes have been written about these two toys. They are timeless and no one is ever too old to enjoy them. These are some of the gentlest, earliest games. What can you build? Can you build…? Look what I built! The imaginative play goes on and on and on. With these games people of disparate abilities can simply play side by side, noncompetitively. This is a great way to develop your child’s ability to recognize patterns and understand special relations in an intuitive manner. Cuisenaire Rods are particularly helpful for teaching students number sense, fractions, addition – even multiplication and division. Playing with the rods – creating patterns and building with them, Introduces them in a gentle, fun way. are just the ticket. Tangrams are a classic Chinese game played with geometric shapes cut from a single square, as shown on the left. 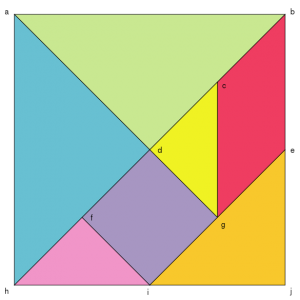 It is possible to fold a piece of paper for yourself to make a set of tangrams, and I encourage everyone who enjoys a geometry challenge to do that at least once. Thereafter you will probably prefer to use a plastic or wooden set. Many, many types and brands abound, because tangrams is an ancient game. 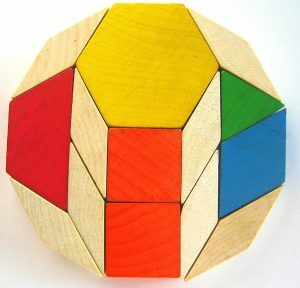 The point of tangrams is to accept and meet the challenge of arranging your shapes into meaningful pictures, as shown in the outlines to the right. It is much more of a challenge than you might think. Beginners use images that show the lines between the shapes. Experts just use the outlines! Traditionally the forms are used to tell an entertaining story. If you get really good at it then you can tell any story you want – illustrating your tale as you go! Tangrams are a bit of a challenge, I’ll grant. They’re good for amusing young children, but generally kids aren’t ready for tangram puzzles themselves until they’re about eight. I lumped them together with Cuisenaire rods and pattern blocks because they are similar. 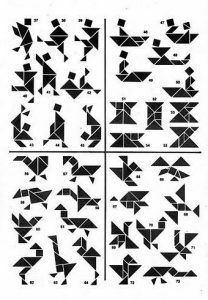 Once you’ve familiarized yourself with tangrams you can play any time you have a piece of paper, providing you remember how to fold the square to get the requisite shapes. Card Games are for Kindergarten. It’s the perfect time to start. 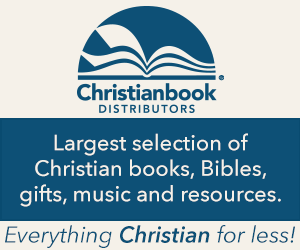 Many households buy special sets of cards to play games such as crazy eights and go fish. I suggest a good quality set of ordinary playing cards. They’re much more versatile. Taking turns, focusing for longer and longer periods of time, counting, adding and more. That’s what your child gets from card games. Go Fish is a great first card game. Solitaire is remarkably easy as well. Crazy Eights and Snap are other popular childhood favorites. You should be able to have family poker games by the time the kids are 12! Penny ante poker is good, clean fun! 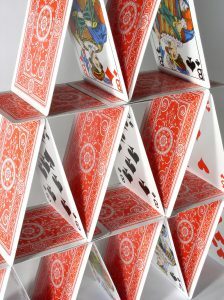 Last but not least, building a house of cards is remarkably challenging and fun. When your repertoire of classic children’s card games runs out you can always see who can build the highest house of cards. 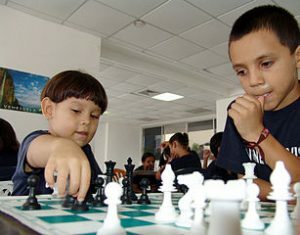 Researchers discovered that a group of students with significant academic difficulties scored higher on their annual assessments if they had forty hours of chess instruction during the school year. The students scored much higher than the students in the control group who did not receive the chess lessons. The areas of improvement were in Numbers, Operations, Quantitative Reasoning, Probability and Statistics. No improvement was shown in Geometry-related topics. Since Chess is generally associated with gifted students, this might come as something of a surprise. Yes, all kids benefit from chess lessons. Chess is more complex and nuanced than most games, and requires strategic planning and continuous focus. Our local homeschool cooperative ran a very popular chess club during the sports off-season. That’s right – when the kids weren’t playing soccer they were doing chess. Sound crazy? It isn’t. Honest. A gym floor or church multi-purpose room full of sixty to a hundred kids playing chess is a beautiful thing. Chess is wildly popular around the world. The game is at least a thousand years old. The Moors caused chess to spread across the Iberian Peninsula in the Tenth Century. By the year 1000 it was played throughout Europe. Due to its popularity and the fact that no one owns the copyright, playing chess is extremely affordable. I can’t say enough good things about this game’s educational and social value. Every household should add it to their collection. Everybody loves Monopoly, so much so that there are now dozens of spin-offs. Candyland is a big favorite with little tykes – so much so that I’ve come to loathe it! (I’ll still play though. Anything to see them happy!) Snakes and Ladders has a loyal following. All the board games that involve spinners or dice and counting steps forward and backward along a trail are great for counting skills and early numeracy. By all means, invest in a few. I hope you’ll tell me about your personal favorites down in the comment section. 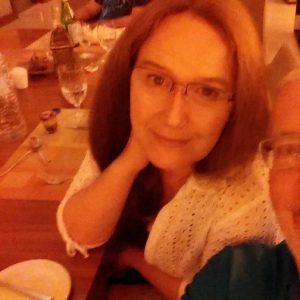 I welcome your reviews of this post, because I’m always trying to do better. Please let me know what you like, what you aren’t crazy about, and most importantly – what you’d like to see more of! Oh my goodness, you are right! As a family we are not playing all the old games anymore. Must say there is a number of the games, you mention bring back memories from far far ago. One game we played recently with children was “Apples to Apples” and was equally popular with the younger ones as well as us adults. Is an awesome game. It’s good to have that kind of game around – the type the entire family can enjoy together. I think that it might be a tough task to make a kid love some specific game. The little ones are so pretentious and sometimes it is very difficult to grab their attention. I personally like Monopoly and I think that it develops the thinking. Thank you for the educational read. I love the way this post took me back to my younger-years. Snakes and Ladders, Playing Cards and Chess are all old time favourits that have been almost forgotten. I bought some of these recently and I play them with my daughters AND you are so right we have so much fun and the girls are learning a lot. I will be getting a set of Dominoes as well. Thank you so much for the rich information and I look forward to reading more. After being advised by our family Psychologist on how to improve bonding with our kids l started searching for ‘games for kids’ and l stumbled upon your website. l have ordered some Dominoes and the children are so excited. Are there any games that you recommended which we can play outside and include some form of exercising since it’s almost summer time here in Sweden? Thanks for the great review. All the best. It’s so good to hear from you. I do not know how old your children are, but I do have some ideas. My family enjoyed croquet, bacce ball, badminton and volleyball. They’re all great options. I particularly suggest croquet if your children are younger. When I was a child my parents often took family canoe trips. If your local parks have small boats for rent, this can be a wonderful family adventure. I used to love dominos and go fish when I was little. It’s funny though because at the time, I never really saw it as a learning tool. 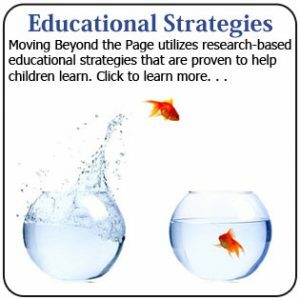 Guess it’s a sneaky way of helping kids learn, huh? Especially because it was so fun. Candyland was great too… wow, I came on here looking for some ideas for my nieces and I got to enjoy a little nostalgia from the past, too. 🙂 Great ideas for kids of all ages.. Thank you for sharing.